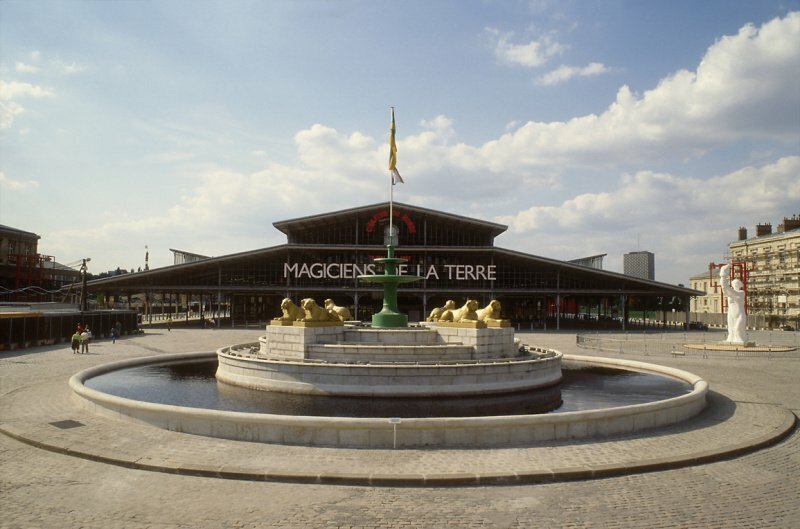 Magiciens de la terre at the Grande Halle, Parc de la Vilette, Paris 1989. Courtesy of Centre Pompidou, Bibliothèque Kandinsky. Naima Morelli is an art writer and curator with a focus on contemporary art from the Asia Pacific region. She has written for ArtsHub, Art Monthly Australia, Art to Part of Culture and Escape Magazine, among others, and she is the author of “Arte Contemporanea in Indonesia, un’introduzione” a book focused on the development of contemporary art in Indonesia. As a curator, her practice revolves around creating meaningful connections between Asia, Europe and Australia. Naima Morelli talks with Hou Hanru, artistic director of the contemporary art museum of Rome MAXXI, about his curatorial process and understanding of the world through contemporary art. 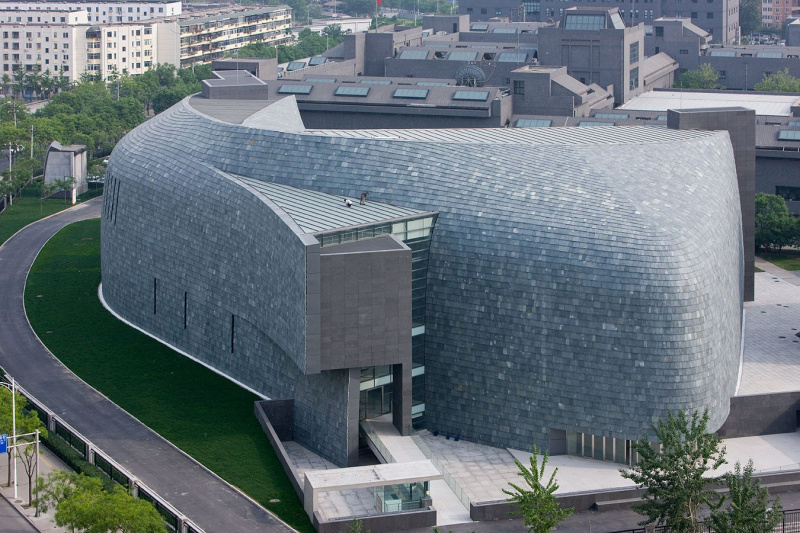 Since Hou Hanru took the artistic direction of Rome’s contemporary art museum MAXXI, the cultural scene of the city and its intellectual landscape received a great boost. 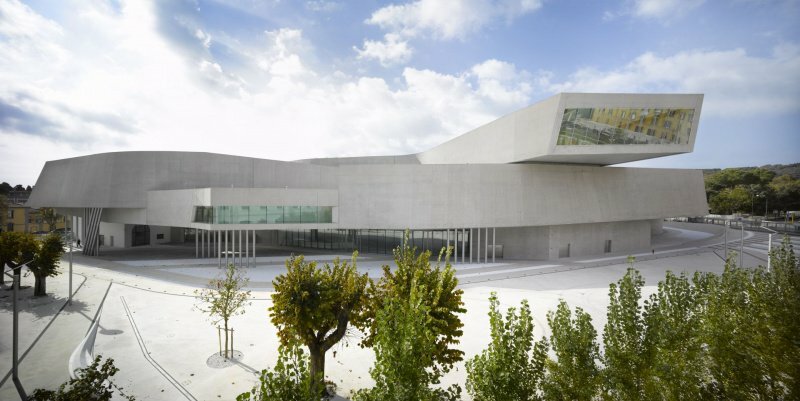 The MAXXI has indeed became not only that iconic landmark people visit to appreciate the architectural audacities of Zaha Hadid – the late archistar who designed the building. What visitors actually get from this laboratory of thought, is really a shift in their perspective. The museum is compelling for people from different backgrounds; art lovers can widen their understanding of the so-called “new geographies of art”, for example in the series of exhibitions “Interactions across the Mediterranean”. Architects have finally found an alley to an explore their field, in shows that are specific and accessible at the same time. And even families can bring their kids to the numerous activities organized by the museum, and perhaps accidentally coming into contact with show like “Gravity. Imaging the universe after Einstein”. These kind of shows, where art represents the doorway into an expansive exploration of reality, helped revitalize the Roman contemporary art scene. 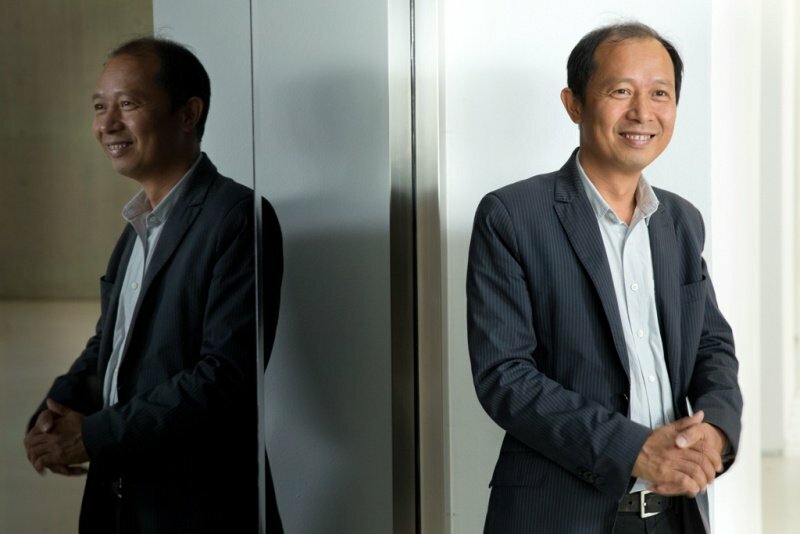 MAXXI’s director Hou Hanru seems to be a natural-born explorer. Bringing an outsider eye and insider knowledge from living in Europe for almost 30 years, he is managing the museum with intelligence, curiosity and a lot of humanity. Far from being a detached theorist, you can spot him at almost every opening in the Eternal City. He is never there just pro forma, but rather bringing about the attitude of a cardiologist, taking the pulse of a city that can’t just rest on its laurels. “Universities in the ‘80s were the epicenter of the huge change after the Cultural Revolution. That was the most open period in China up until today. Everyone had this incredibly strong utopian desire to change the society into something better. I was really lucky to be in this incredibly interesting school, where people from all around the country met and international professors and students visited.” In the late ‘80s he started curating exhibitions, including the celebrated retrospective China/Avant-Garde, jointly curated by Gao Minglu, Wang Mingxian and Hou Hanru, and in 1990 he moved to Paris, where the seminal show “Les Magiciens De La Terre” had a huge impact on him. It seems to me that you always hold a mental framework to understand the changes of the world. How do you transfer this intellectual understanding in your practice as museum director and curator? For me as a curator the most important thing is to look at the reality of the art community and work with artists to learn from them, to look at what they do. In the meantime, it is also very important to look at a whole intellectual, landscape of what’s happening today as a response to the changes of the world or as a vision of a possible future. So for me it’s a process of reading and processing, encountering, interacting and also a researching on the site. I look at artworks as living bodies. They live in the place with the place. When they travel they bring new meaning to a place. On the other hand the place actually provides a new interpretation to the meaning of an artwork as well. So it’s an open process which makes our work is never dead. An artwork is something that really continues to live because of interventions of people from different backgrounds. In the past you said that you see art as a political action in its essence. What do you mean with political? With political I don’t mean as a day-to-day power struggle. It’s about a competition of different visions of the world, different value systems, a different way to think about freedom and stability. Art provides us a constant need, necessity to think about the limit of freedom and how much one can continue to challenge the limit. And when it goes to these moments, it’s a political struggle. Political as a kind of negotiation between individuals, how we can form a society together through negotiation. In recent years with the MAXXI you focused a lot on the culture of Rome and Italy and its communication with its neighbours. Can you tell us what compelled you to take those lens? It is very important for me to understand that the role of art and art institutions in one place. Directing the MAXXI is not about seeing what to do in this great building, but rather looking at Italy, which has been a laboratory of Western history, of the world history, for over 2000 years. Rome has historically been the epicentre for all this history. At the same time, Italy is also at the frontier of negotiating today’s problems in the world. When you look at the frontiers of Europe, half of the borderline is somehow represented by the situation in Italy. You not only you have migrations coming from Africa, it is also a borderline in which the Mediterranean culture and Germanic culture and other cultures negotiated. Italy is such an incredible place which is not like in France, where you have more or less an identifiable national culture. Italy is still a very decentralized place where all the cultures meet and it’s a very close and very open system at the same time. So for me it’s the place where we can explore the question of openness. Speaking of openness, as a curator and museum director, you try to include all the different artistic instances. At the same time curating also implies a process of selection and exclusion. How do you navigate this process and set your own criteria for what is contemporary and meaningful? To me, an art exhibition or an art institution is a place where one should explore the utopian dimension of life. Unfortunately, and fortunately one has to make decisions. But at the end of the day, art is about different voices, and what kind of voices you defend or do you claim for. Inevitably you have to have a set of values and decide what is meaningful and what is not. Of course this judgment comes from a very complex experience and also a continuous kind of conversation with the world with different people. Encountering and learning from artists, and different individuals inside and outside the art world. You learn from people and constantly try to reflect on your own position. It’s a very complicated combination of rational thinking, research, intuition and ambition. What is the starting point for preparing an exhibition at the MAXXI? When I think about setting up a show, I try to understand how the world is changing. You really have to think about how to highlight this change as meaningful and problematic at the same time. For example technology and artificial intelligence are on the forefront of everybody’s mind right now. In this moment we need to raise more questions about what it actually means. We can’t simply do an exhibition that celebrate the beautiful picture that the computer can produce. We have also to really think about the implications, and explore the debates and problematics, like the fact that maybe humanity is evolving towards a kind of virtual reality that has zero dimension. Not only one dimension, but zero dimension. What do you mean with zero dimension? With zero dimension I mean the flattening into one kind of social role: you are either a producer or a consumer. You are someone who has to follow a commonly accepted criterion of vision, communication and language. We tend to use more and more social media in communication, so we perceive conversations to be always too long and we want everything to be immediately understandable. We have arrived to a point where we don’t actually talk to each other, we just overlap in a very flat expression. I have been thinking about all of this and I just try to put it on the table as a question, as a problem. In the end, an exhibition, a museum project or a book should always be looking into the many sides of a question, to be an alternative to this so-called reality. So we need to always look for the exceptions.